A Guide on How to Get Dog Hair Out of Carpet? Home » Blog » A Guide on How to Get Dog Hair Out of Carpet? I have a long haired dog that I have taken 4 wheeling with me a few times and trying to get the hair out of the carpet is a nightmare! I had a job today in a condo. The carpet was full of dog hair. It took me 2 hours to clean a small room. What is the best way to clean this stuff? Will vacuuming remove all the hair? How do I remove dog hair out of my carpet and car? You know it’s a good day when you get to bring your dogs along for a ride in your car, whether it’s only occasional or you bring them with you on your way to work every day. You can just imagine the fun it will bring to your dogs with their tails wagging and their tongues out while they enjoy the wind from your car’s window. However, you must admit that it’s all fun and games until the day you must deal with getting rid of their hair out of your car’s carpet. In this article, we will be discussing the step-by-step guide on how to get dog hair out of carpet, with some valuable tips on how to do this task efficiently. We hope that you will be able to apply this new knowledge after you have read this post. What You Will Need to Follow Tutorial Remove Dog Hair Out Of Carpet? It can be quite time-consuming to get your dog’s hair out of your car’s carpet and being prepared with these materials ahead of time is going to help you a lot. We recommend that you take the time to find these materials, as some of them need to be purchased at your local hardware store. The very first step in any hair removal process is to try to extract loose hair using a handheld vacuum cleaner. This is a very important step, as it is the stubborn and embedded strands that will give you a difficult time and it is best that you accomplish this task before anything else. We recommend that you invest in a great hand-held vacuum that you can use for a long time. One of the most used tools for removing pet hair from any upholstery or car carpet is a rubber glove. You may think of the traditional bright yellow gloves most housewives use in the kitchen but that’s not really it. You may opt to use a household rubber glove normally used for cleaning, as it has nubs on the palm side. Another option is latex or Nitrile glove. While the gloves are dry, run it through the carpeted areas of your vehicle. Wipe from top to bottom, going only in one direction. You may also try to dampen the rubber gloves if you are not getting the results that you want. After all, the moisture can add weight to the pet hair; thus, helping it clump into the wet rubber gloves. An alternative to rubber gloves that you can use is a sponge or a wet washcloth. Run it through the carpeted areas of your car in the same manner as the rubber gloves method. If you are persistent in getting rid of your dogs’ hair in your vehicle, you may try finding gloves that are specifically designed to get rid of pet hair on carpets. This is a very simple process of removing your dogs’ hair out of your car’s interior. You only need to run and roll the Velcro curlers over the surface area, which is preferably on sturdy materials including the carpet or flooring. What’s great about this technique is that these curlers can bend, making it a lot easier for you to access hard to reach areas of your vehicle. Did you know that an inflated balloon utilizes static electricity that can attract your dogs’ hair? While you run the balloon over the carpeted area of your car, pet hair collects on the balloon. Then, it can be wiped clean, reused, and disposed of once you have used it. While this method works great for removing loose hair, it won’t be suitable for removing embedded hair. Another great method of getting rid of your dogs’ hair on the car’s carpet is to use duct tape. You can save your lint roller to use for your clothes. Using a packing or duct tape can be a substitute to gather annoying hair left by your furry friends. In addition, it is considered as more practical, as lint rollers are pricey and are less effective for removing stubborn embedded hair on the carpet. Although you have the freedom to use packing or duct tape, packing tape has a lighter touch and it will not leave any kind of residue. You may do this method by wrapping the tape around your hand while the adhesive side of the tape is on the outer side. Press this firmly onto the surface and lift it up to see the results. You may also need to replace the tape after a few runs. Using pumice stone is another reliable and cost-effective choice for getting your pet’s hair out of your vehicle’s interior, especially the carpet. However, we recommend that you test the fabric first, especially when dealing with sensitive upholstery. Doing this method also requires you to have a spray bottle, a fabric softener, and a small bucket of water. The fabric softener is essential to break the static bond that may form on the carpet of your car. In addition, it also serves as a “softener”, as opposed to the abrasive qualities of the pumice stone. To do this method, just wipe the carpet in one direction in a back and forth motion. To remove the stone of debris, simply spray with the fabric softener or dip it into the bucket of water. You may also use an unused and fresh dryer sheet to get rid of your dogs’ hair on any car interior surface. The best part is that this method will not require you to use water or any kind of solution. To do this, you just have to run the dryer sheet onto the surface of your car’s carpet to pick up pet hair, as well as dust. Another handy tool that you can use for picking up stubborn strands of your dogs’ hair is a wire brush. Interestingly, the way it works is almost the same as the pumice stone method. In addition, most pet-owners use this method as the end-step of the cleaning process just to make sure that they have effectively removed all traces of their dogs’ hair on the carpet. A squeegee is another perfect tool to remove pet hair from your vehicle’s carpet flooring. The way it works is that the rubber blade catches the hair while you move it against the carpet. You just have to move it in a single direction and from top to bottom. To add, you need to wipe the hair as you go along. Notes: If you want get dog hair out of clothes or blanket you can’t go wrong with a classic lint roller, they’re great at removing the extra fur your pup leaves behind when they give you a kiss goodbye in the morning. Affordable, portable and widely available, they make removing small amounts of fur from your clothes a doddle. If you think you will be needing to do this task a lot of times, you might want to invest in a good quality hand-held vacuum cleaner. 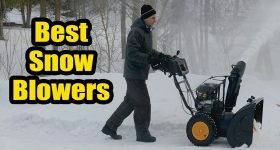 This would be really helpful in minimizing the cleanup and it helps you do the job a lot easier. To add, you may also use this handy tool to clean up debris, not just pet hair. Save yourself the hassle of spending hours tweezing Fido’s fur out of your car and give your dog’s coat a good brush out before getting into the car. An extra brushing before a car trip will remove excess pet hair that would otherwise end up lodged in your car’s carpets. The type of brush you use may also make a different to how much fur it collects; if you have a particularly hairy dog, invest in a FURminator, specifically designed to thin out a dog’s undercoat and loose fur. You may use 7-parts water and 1-part fabric softener solution to effectively remove pet hair from your car’s carpet and upholstery. It also helps prevent static citing in your vehicle. Buy a Petrider or similar seat cover for your car. They keep fur (among other things like sand, dirt and water) off your car seats and can be easily removed, washed and stored until the next time you want to take your pooch to the beach. You can also give your dogs a good and gentle brushing before you let them in your car. If your dog is agreeable, you may also use the hand-held vacuum cleaner to remove all the loose hair; thus, lessening the amount that gets caught up in the car’s carpet. It’s important to keep your pets contained when they are travelling in a vehicle, so harness or crate your pets in transit. Not only will using a crate for travel reduce your car’s exposure to pet hair and other pet related dirt and smells (wet dog anyone?) but it will also keep your pet safer during travel. Did you know that there are pet seat covers available right now? You may use these to keep your dogs’ fur, mud, and dirt from soiling the car seats. It is also very convenient to use, as it is washable and can be put away when not in use. While this is part of the law regulated on some states, you might want to use a comfortable pet harness or crate. These will keep your furry friends safe while you are on the road and it keeps the spread of loose hair to a minimum. Take out the rugs in the car every so often and vaccuum them. Use masking tape to get hair out. Just put a towel or sheet over the seat–wash/shake/vaccuum it often to keep it clean. Buy a lint brush–these work well for clothes and seats AND rugs. For rugs, brush them with a regular hairbrush. Put on rubber gloves, dip your hand in water, and rub the seat–it works REALLY well! Get a seat cover… make sure it is water and pet proof–just throw it in the wash every so often! Keeping your vehicle and house tidy might be a bit of a challenge, especially if you bring your dogs along for a ride. 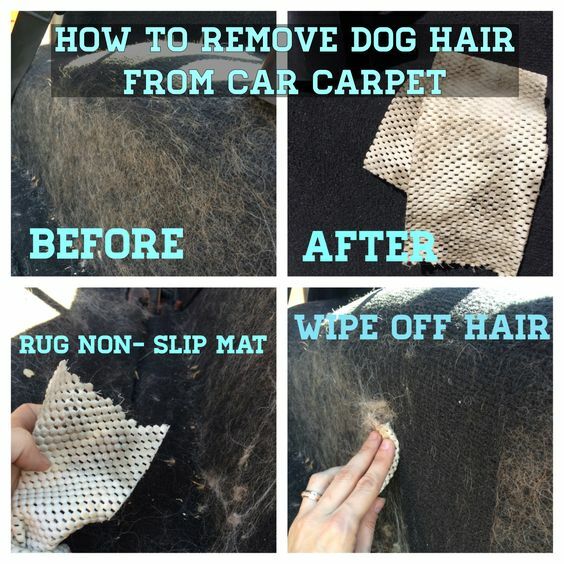 Now that we have discussed the various methods on how to get dog hair out of carpet in car and home, it is now up to you to try these methods. We guarantee you that they are easy and something you can do on your own. What are some good tips remove dog hair out of carpet you can share for us? My pets are friendly and cuddle. So I keep a couple of small blankets in places like sofas and bed.are there any safe fragrance free cat shampoos or cat wipes you’d recommend? Pets who just need a simple scrub are the easiest. In this case, you need a shampoo that will get rid of the dirt and make your pet smell good. When I did some poking around, I found that many shampoos claiming to be “all natural” actually contained dyes and sulfates. Finding the right shampoo wasn’t going to be easy, but I did find Wondercide Natural Products Exfoliating Natural Shampoo Bar. We have a white extremely short hair dog and my car had black interior. Needless to say there was no way a shop vac was getting that hair out, it was like velcro to the cloth car seats carpet. I went to pet stores they had a Rubber Pet Hair Removal Brush. It worked great, I just had to keep going. Use the brush with one hand, moving it different ways and then “sweep” the hair into a running shop vac. It’ll take awhile (it took me 2 hours for a hatchback focusing on the back seats), but it will be worth it. I then re-vacuumed looks great. Also don’t waste your time with tape, it’s useless. I have a thing called a Pledge Fabric Sweeper for Pet Hair. It’s a plastic receptacle that you sweep from side to side on carpets, furniture or vehicle interiors. It picks up all the hair very well. Try this: Sprinkle down some baking soda, the hairs will cling to it, making it easier to vacuum up. It also deoderizes pet smell. And: A sticky lint roller has been my savior for pet hair on furniture, it also works on floors. Damp sponge works the best in my experience. I like it better than the sticky rolling things for clothes. Works well for the inside of the car too. Makes the hair roll up in a ball. For vacuuming the furniture, I just got a Shark Navigator Professional Lift-Away. It is AWESOME. Not kidding. My furniture has never been this clean. We have 4 dogs + fosters so we have a HUGE amount of hair in our house. What do you use to vacuum pet hair–dog and cat–from carpeted stairs. The treads and risers do not lend themselves to full-size vacuum cleaners and my attachments do not provide enough suction to get the hairs out of this synthetic carpeting. I’ve been using a DataVac, but my knees can’t handle it anymore. If you have a pet let be choosy about the type of upholstery on your furniture. My couch is covered with a polished cotton cover that the hair will not stick to. This makes vacuuming easier. I don’t have carpeting in my house, but do have a large area rug in my living room. I vacuum well, and then I have an old rolling pin that I roll shipping tape around with the sticky side out. Roll this over any stubborn hairy areas, and it will pick up the strays. Lots of work and I don’t do it every time, but it makes a big difference. Try masking tape or a lint roller. The hair sticks to the tape, and won’t harm the leather.